Despite their status as a married couple, Ryan Agoncillo and Judy Ann Santos have different loyalties, which will be emphasized when the two celebrities’ programs face off this Saturday night. It’s difficult to avoid pitting celebrity couples against each other for ratings, and this couple is no exception. In case you missed the point, read this previous article about one-time dating couple Jennylyn Mercado and Luis Manzano and the programs they host opposite each other during weekday mornings. Ryan Agoncillo and Judy Ann Santos have been married for four years, but both ply their trade on opposite sides of the most heated broadcasting rivalry today. 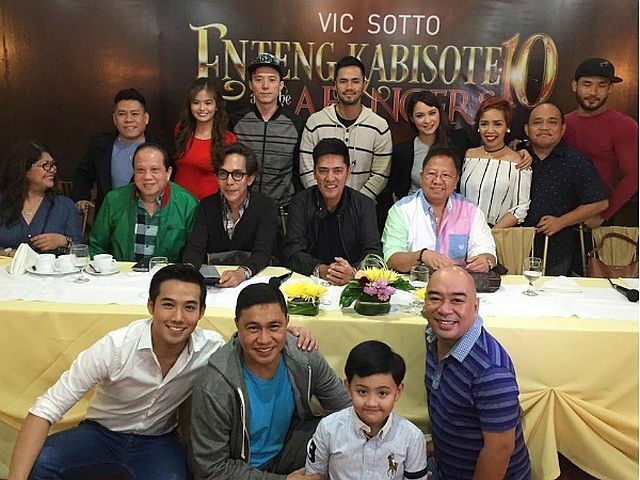 Agoncillo was bred to be a Kapuso, rising from the ranks as a host in ‘Unang Hirit‘ before earning his stripes as a mainstay of ‘Eat Bulaga‘, with several stints as a Kapamilya and Kapatid talent in between. Meanwhile Santos was groomed to be a Kapamilya, starting with a breakthrough role in ‘Mara Clara‘ until her various roles in successful primetime teleseryes earned her the tag of ‘Queen of Pinoy Soap Operas’. Beginning this Saturday Agoncillo and Santos will be pitted against each other in the same timeslot. Juday’s current project ‘Bet on Your Baby’ has been on the air for over a month now, and is raking in high ratings since its debut. In response, GMA created their own game show with a theme capitalizing on the ‘selfie’ craze. The new show will be titled ‘Picture! Picture!’, with Ryan taking over the hosting job. ‘Picture! Picture!’ will replace the children’s fantasy program ‘One Day Isang Araw’, which unfortunately flopped against ‘Bet on Your Baby’ and previously ‘Kapamilya Deal or No Deal‘ in its timeslot. With ‘Picture! Picture!’ GMA now has two game shows on a Saturday night, the other being ‘Celebrity Bluff‘ hosted by Eugene Domingo, Jose Manalo and a guest host. Despite the decision of the GMA management to pit ‘Picture! Picture!’ against ‘Bet on Your Baby’, Ryan has stated that there is no personal rivalry between him and his wife, and insisted that their shows are about ‘good competition’. And why not? Both shows have interesting formats and approaches which should keep audiences thrilled with every move. The ratings war between ‘Picture! Picture!’ and ‘Bet on Your Baby’ should be a good one, not only because it pits a celebrity couple like Ryan and Juday, but it also raises the bar for game shows to follow.